I mean...I'm not gonna argue with him. With the pop-culture phenomena that these “facts” have become, it’s sometimes easy to think of Mr. Norris as a catchphrase and not a living, breathing martial artist. But the truth is that he’s a legend in his own right, with or without the ever-popular “facts.” Here are eight actually (no, I mean actually) true trivia pieces about Mr. Norris – no embellishment needed. 1. 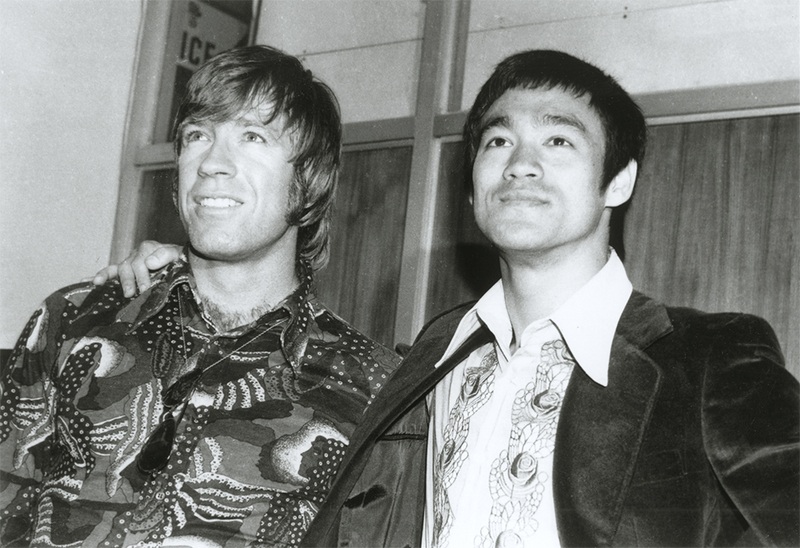 Chuck Norris founded the nonprofit Kickstart Kids to help at-risk kids through martial arts. The program, which Norris launched in 1990, brings free martial arts classes to public schools in Texas. Kids who would not have otherwise been able to learn martial arts get the chance to train – but that’s not all. Kickstart Kids focuses on character development as well as martial arts, equipping kids with emotional and mental life skills that will help them throughout their lives. Since its inception, Kickstart Kids has helped over 95,000 students, with 9,500 more currently enrolled. For the last 26 years, Chuck and his wife Gena have held the Boots and Black Belts Gala to raise funds for the program. This year’s Gala is going to be held March 23rd in Houston, Texas – so if you’ve ever wanted to go to an event with Chuck Norris while supporting a worthy cause, this would be a great time! 2. The epic fight scene between Norris and Bruce Lee in Way of the Dragon? Yeah, it wasn’t choreographed. A young Norris and Lee. They were good friends in real life! Of course, it wasn’t a full-fledged death-match. Lee and Norris weren’t trying to hurt each other. They’d been training partners for over three years at the time, and had sparred often enough that they were familiar with each other’s style and moves. They coordinated the scene on the spot, and the result is iconic! 3. 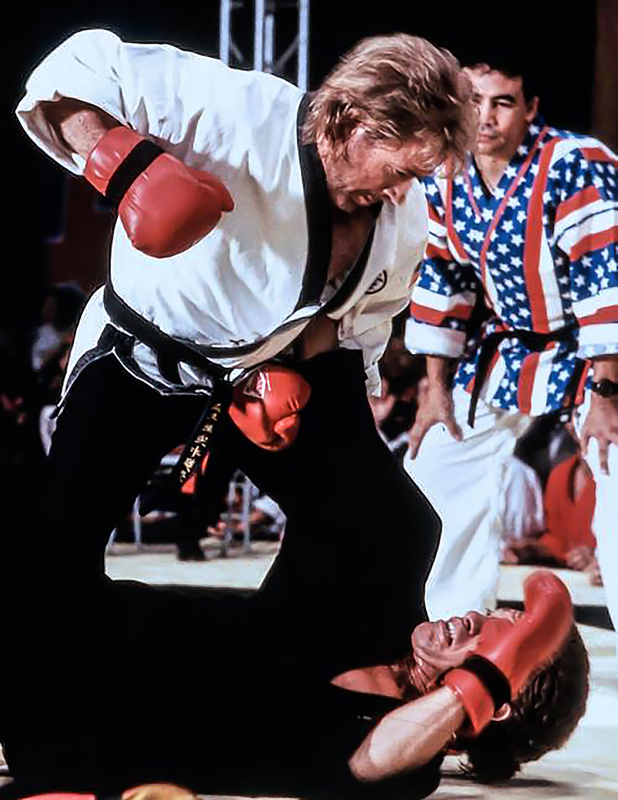 However, that film was Chuck Norris’ first time to appear in a major cinematic role! Okay, so technically he had an uncredited role in 1968’s spy-comedy The Wrecking Crew. Joe Lewis and Ed Parker also had bit parts, and Lee was the stunt coordinator. But that hardly counts as a break-through (although he did apparently punt Dean Martin airborne during one take)! The next film to showcase Norris’ martial arts skills after Way of the Dragon was a Hong Kong film called Yellow Faced Tiger, aka Slaughter in San Francisco, aka Karate Cop. Again, Norris played a villain, although this time with a much larger role. He got his first leads as the hero in the 1977 film Breaker! Breaker!, and then in the 1978 film Good Guys Wear Black, which he considers his breakout role. From that point on, he’s played largely heroic roles – a much better fit! Pretty much the entire cast of Dodgeball: A True Underdog Story (2004), where he played himself. There are more; however, these stand out when skimming the casts of his movies. 5. His real name isn’t Chuck. I bet you’re thinking, “Duh – “Chuck” is short for “Charles.” Well you’re wrong! Chuck Norris would never be so predictable! Not only can Chuck not be short for Charles because they have the same number of syllables (unless you want to pronounce it “CHA-ruhlz”) but his name is actually Carlos. Carlos Ray Norris, to be precise. Chuck Norris as a young competitor. Norris was born in Ryan, Oklahoma, near the southern border and just a smidge north of Texas. Oklahoma is also the birthplace of Century Martial Arts – so as far as martial arts legacies go, this medium-sized southern state isn’t doing too bad! 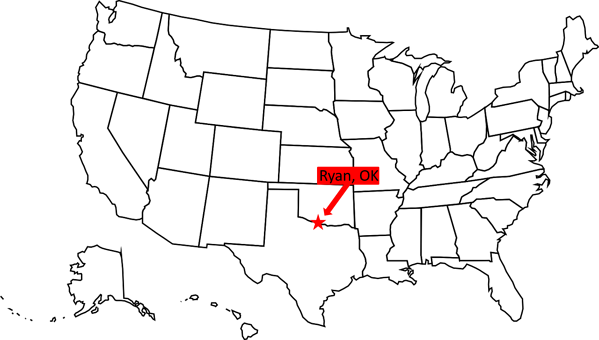 Unsurprisingly, being Chuck Norris' birthplace is Ryan's biggest claim to fame. 7. Remember the cobra joke from the beginning? That one has a basis in fact. That's a whole lot of "nope rope." 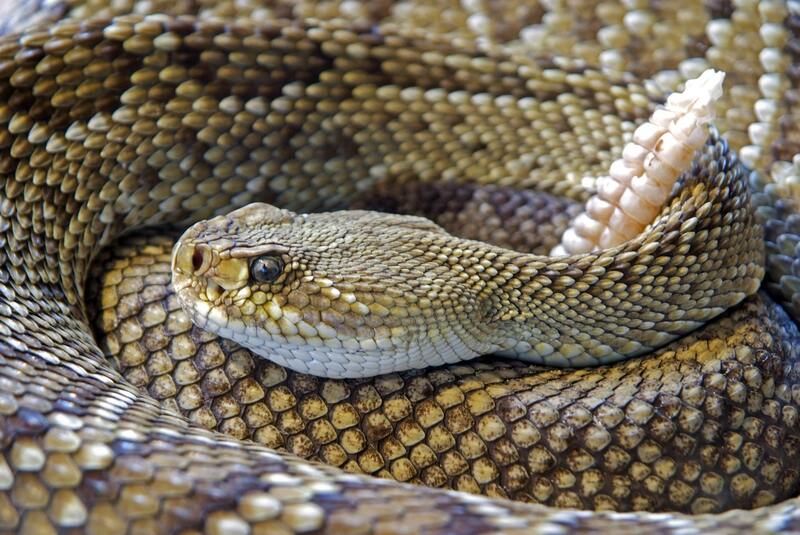 It wasn’t a cobra, but a rattlesnake. While shooting an episode of Walker, Texas Ranger, a scene called for Norris to grab a live rattlesnake off the ground and count its rattles*. The first take went off without a hitch. But the director wanted a second take – and the snake sunk its fangs into Norris’ hand! According to him, “blood started gushing out,” causing the director to take off running in panic. As a precaution, Norris went to the hospital to be checked for venom, but there was none in his system! 8. 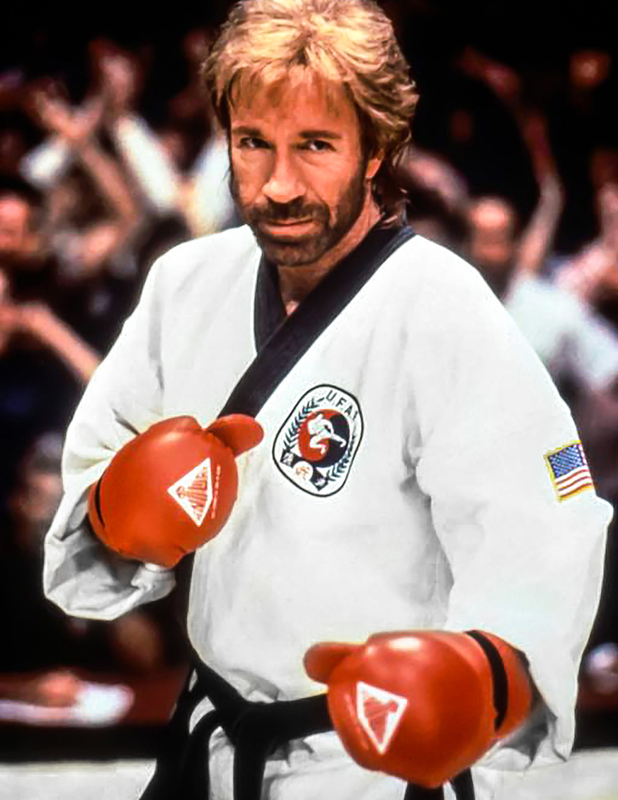 Chuck Norris will be at the 2019 Martial Arts SuperShow! In case you didn’t already know, the Martial Arts SuperShow is the annual educational tradeshow/networking/seminar and conference event presented by the Martial Arts Industry Association (MAIA) and Century Martial Arts. It’s the largest industry event of its kind, geared towards providing business advice as well as on-the-mat training for martial arts school owners and instructors, and draws hundreds of attendees from around the world each year. And this year, Mr. Norris will be there! I hope you’ve enjoyed this list of Chuck Norris facts, and hopefully, you’ve learned a few new things! What’s your favorite fact – true or not – about this legendary martial artist? Let me know in the comments!